(by Janis Mara) – Ownership of the 81-year-old canal system that serves as the water lifeline for a half-million Contra Costa County residents could be transferred to the Contra Costa Water District under recently introduced legislation. with Rep. Mark DeSaulnier, D-Concord. Good deal. Locals get to spend half a billion on this. Thanks a lot Mark. No doubt a nice new tax wil come with this. That is a positive attitude!! How does that work for ya? You all just hate Mark no matter how smart he is! He wins our votes! Citizen – Mark appreciates you drinking his Kool-Aid. It’s just a little creepy how you fawn over him. Yep. Here go our already high water rates up a little further. Just watch. Mark ran out of smart if you ordered anything more complicated than a shot and a beer. This sounds like a great idea, on the surface. I wonder what restrictions will be put into place by the bill and how much this will raise the water rates for everyone. Oh, water evaporates on hot days and people keep falling in. Let’s spend $500 million on it. Let’s see … 500,000 people depending on it for water divided by 500 million dollars … chump change for each of us. And bond measures… thirty-year bond measures … very exoensive bond measures … on your property taxes … for the next thirty years. When the government says we are here to help you had better watch out. 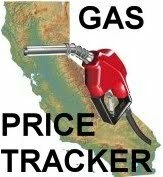 Thank you to all the great state Dems out there looking and FINDING new ways to make Californians pay more out of pocket. Thank you authorized Federal government employees! This is an amazing improvement! We will be moving as soon as we can. People are already leaving in droves – and it’s the people with $$. Before long you will be left with your “utopia” that can’t be funded. Good luck. You are making very little sense . What’s your point? Do you think DeSaulnier is a good manager of our money? If his personal net worth is a measure of his expertise , then look up his financials. He has saved virtually no money in his life. If you think transferring $500,000,000 worth of debt to local taxpayers,is a good thing tell us why. And the cost to the ratepayers is – what? Note that government is notoriously inefficient. And DeSaulnier has demonstrated that he isn’t particularly interested in the financial aspects. yeah more taxes …and they will control the water …. $500,000,000 to modernize, guess what? Here’s another analogy for you. because it’s unsafe, guess again. try to sell a house, it would be a no sale. everyday. Not just on hot summer days. Oh boy!!! Just wait for the water district to raise rates to “Maintain” the canal. Can’t wait to pay more for water too. Garbage is raising their rates too. Paying more for these services is soooo much fun!!! Anyone detect the sarcasm there? What?? Spend money just to keep some water flowing?? I say let the whole thing fall apart and then buy your danged water at WalMart if you want it so bad!! Just please do not pave it over. Lots of wildlife relies on the canals and it brings lots of people onto the bike trails for scenic recreation. For $500 million I can see them “remodeling” it to look more like a naturally flowing water feature, say … an errant fork of the Mokelumne complete with appropriate landscaping and maybe a Pirates of the Carribbean ride to generate income. In fact, now that I think about it, this could be the making of the “river walk” the City Council has mentioned in past explorations. “If it ain’t broke …” 75 people in 81 years? I say that’s a pretty healthy safety record, and, more than that, Darwinism manifest in real time. Sort of like the true function of the LA river. Not going to happen, pay attention to the last line of the article. “Because the federal government owns the canal system, transferring the title requires an act of Congress.” Congress doesn’t do anything. They will find a way to keep the canal and still stiff us for upgrades. First off $500,000,000 worth of debt to local taxpayers is a pipe dream. Democrats in CA issue FORTY YEAR BONDS on projects. The 40 year period automatically at minimum Doubles the cost of any project. Does it seem the least bit strange 4 Democrats all want this to happen ? what are they doing for themselves ??? By transferring ownership, control of contracts becomes LOCAL not Federal. Companies and Unions working on the project will be obliged to give campaign contributions to Democrats. A career politician has three primary goals, getting campaign contributions, being elected and having the POWER to distribute your taxpayer dollars as reward to ensure themselves future campaign contributions. They come first, YOU come LAST. Read my lips. No new taxes!! Yea, right………….. Exactly, if those two career politicians thought of this it is all about raising taxes.
. . . more fake republican outrage as they complain about their own speculations. Many posters in this thread have a true victim mentality – complain about everything.